South Korea says building trust with North Korea is crucial amid a US-led diplomatic push to persuade the North to give up its nuclear weapons. 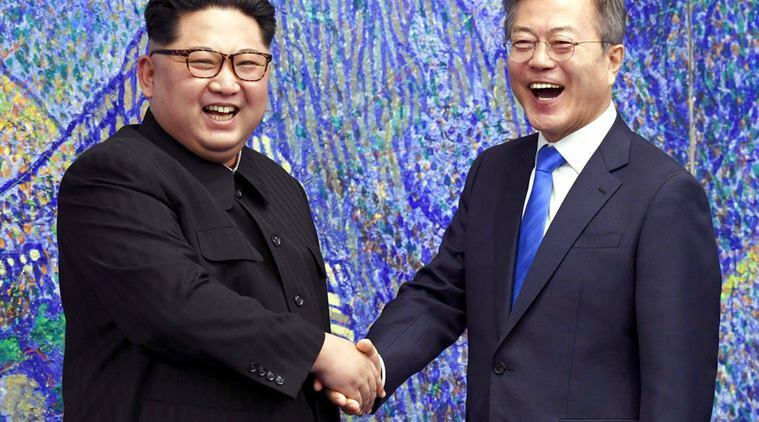 Seoul: North and South Korea on Friday agreed to hold military and Red Cross talks later this month on reducing tensions and resuming reunions of families separated by the 1950-53 Korean War. The high-level meeting between the Koreas followed talks in New York between US Secretary of State Mike Pompeo and senior North Korean envoy Kim Yong Chol on a possible summit between President Donald Trump and North Korean leader Kim Jong Un. American delegations are also meeting with North Koreans at Panmunjom and in Singapore as part of efforts to plan the summit, which may take place June 12 in Singapore. South Korea’s Unification Ministry said the Koreas agreed to set up the liaison office at a factory park in Kaesong that had been jointly operated by the countries until the South shut it down in February 2016 after a North Korean nuclear test. The Koreas agreed to hold the military talks at Panmunjom on June 16 and the Red Cross talks on June 22 at the North’s Diamond Mountain resort. But relations chilled when North Korea cancelled an inter-Korean meeting and threatened to walk away from the summit with Trump because of the South’s participation in regular military exercises with the United States and comments from US officials. Trump cancelled the summit, then said it may still take place, shortly before Kim and Moon met again and agreed to resume high-level talks between their countries.